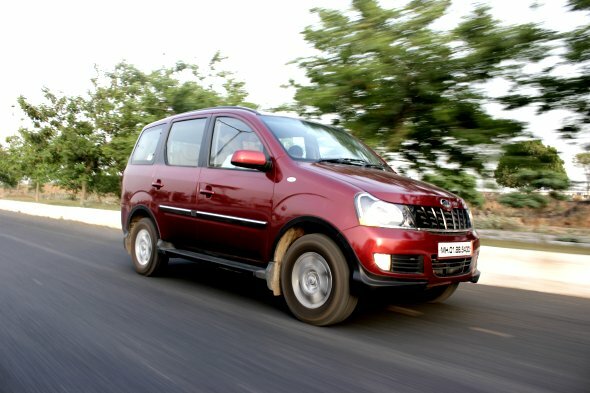 How does the Maruti Suzuki Ertiga stack up against one if its chief rivals, the Mahindra Xylo? Surprisingly well, actually! Read on to find out how. Maruti Suzuki has just launched the Ertiga with a competitive price ranging between Rs. 5.89 lakh – 8.50 lakh. The Ertiga looks sporty and has strong character lines, a typical Suzuki trait. The compact dimensions is sure to attract buyers who were earlier let down by full-length MPVs. Recently, Mahindra gave a facelift and a new 2.2-litre mHawk engine (as in Scorpio) for the top-end E9 variant. The Xylo facelift looks more presentable to the eyes than the old model. The Xylo is known for its spacious cabin, especially the legroom for all passengers. If you are looking for a sub-Rs. 9 lakh seven seater these are two options you can consider: The Mahindra Xylo E4 priced at Rs. 8.28 lakh and Maruti Suzuki Ertiga ZDI priced at Rs. 8.50 lakh. But which MPV between these two is a better value for money proposition? Read more to know the answer. The Xylo E4 is powered by a 2.5-litre mEagle diesel engine that churns out 112 bhp of power and 260 Nm of torque while the Ertiga is powered by a 1.3-litre DDiS turbo charged diesel engine that puts out 89 bhp of power and 200 Nm of torque. The Ertiga weighs 595 kg less than the Xylo and hence despite its lower power and torque figures will be quicker to drive than the Xylo. Handling wise, the Ertiga has an advantage for it is built on monocoque chassis unlike the Xylo. Hence, the vertical movement is minimal and you can actually drive the Ertiga like a car. The Xylo, due to its bulky proportions and soft suspension exhibits a fair amount of body roll when thrown around corners, and reminds of the limitations in driving a large MPV. The Xylo is 255 mm longer, 155 mm wider and 210 mm taller than the Ertiga. With a large dimension, the Xylo has more head room, shoulder room and legroom on offer than the Ertiga. The comfort levels offered by the front row seats in both the MPVs are same. The differences lie in the second row and third row of the MPVs. The second row in Xylo offers phenomenal legroom than in the Ertiga. Same is the case with third row where even tall adults can sit comfortably without bruising the MPV’s inner walls. The small third row space is where the Ertiga might disappoint you. Both the MPVs lack rear boot space though the Xylo offers some storage space under the seats. Comfort wise, the Ertiga matches up with the Xylo when it comes to front and second row seats. The seat cushioning is sufficient in both the MPVs and will offer comfortable ride even during long journeys. The middle and third row passengers will feel easy to sit in the Xylo than in the Ertiga. Hence, when compared with the Xylo, the Ertiga falls short in terms of space but the ride is still more comfortable. The Xylo facelift has given it a fresh look. The refreshed front grille and new headlamps have vastly improved the looks of the Xylo. Subtle changes like contoured front bumper, new body decals have helped in reducing the bulk size of the vehicle visually. The Ertiga has a beefed-up Ritz like front face. The headlamps and front grille design are typical Suzuki trade mark and similar to those of the Swift and the Ritz. The side profile has a slightly raised shoulder line and the chunky wheel arches give it a sporty appeal. The rear looks bland though the side swept tail lamp cluster adds freshness. The new Xylo is lot more easy on eyes, no doubt, but the Ertiga with its compact dimensions look sport and more of a car than a MPV. 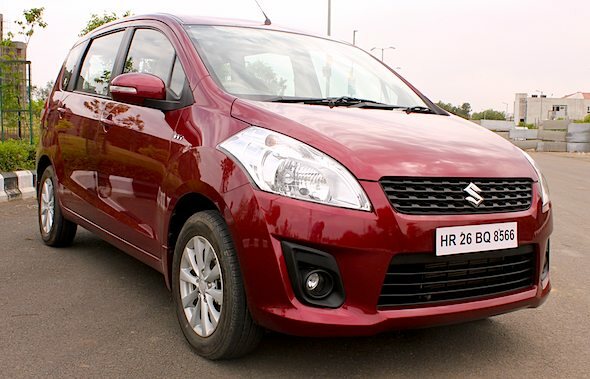 Hence, looks-wise, our pick is the Ertiga. The Xylo E4 comes with power steering with tilt adjust, surround cool dual AC, engine immobilizer and optional ABS. The Ertiga ZDI has the features in the Xylo E4 and also comes with dual front airbags, music system, automatic climate control, steering mounted audio controls and power adjustable outside mirrors with turn indicators. Clearly, the Ertiga leads in the race when it comes to features. The Xylo E4 priced at Rs. 8.28 lakh is Rs. 22,000 cheaper than the fully loaded Ertiga ZDI. With regard to fuel economy, the Ertiga diesel returns 20.77 kmpl (ARAI mileage) while the Xylo E4 returns 12.92 kmpl (ARAI mileage). The Xylo E4 is cheaper than the Ertiga, but it lacks safety features such as airbags and ABS and also returns less mileage. Ignoring the leg room space of the Xylo, the Ertiga is definitely a better value for money package than the Mahindra MPV. If legroom and third row seating comfort is of top priority in your MPV purchase, the Xylo E4 variant is for you. But, if safety features, mileage and handling are your top priorities, pick the Ertiga ZDI. « Five most fuel efficient entry-level diesel sedans under Rs.11 lakh!